Two adjunct professors, Sarah Lowengard and Christina Weyl, of the Faculty of Humanities and Social Sciences, have each received fellowships during the 2018/19 academic year. Lowengard will be a Visiting Scholar at the Max Planck Institute for the History of Science in Berlin. Weyl received a postdoctoral fellowship from the Getty Foundation / American Council of Leaned Societies. Interestingly, both will be examining the history of color, though in different fields. In spite of this mutual interest, they have never met. Lowengard, who has been a member of the HSS faculty at The Cooper Union for about fifteen years, teaches courses on the history of science and technology. Her own research interests are chemistry and physics in early modern Europe, but her passion is color and color production of that era. "I began my professional life as an art conservator and I still maintain a conservation practice," she says. "I knew about color because I have always been a dyer and pigment maker. When I went back to school to obtain a degree in history everyone in the department said, 'You have a specialized knowledge. Don't abandon it.' I am still fairly obsessed with color." Her dissertation, The Creation of Color in 18th Century Europe, has been published online by Columbia University Press. Weyl, who arrived at HSS in 2016, teaches art history. But she is working on a new book, Living in Color, that examines the emergence of color printmaking during the mid-twentieth century, in particular its influence on the shift from the reign of abstract painting to the printed works of the Pop Art movement. 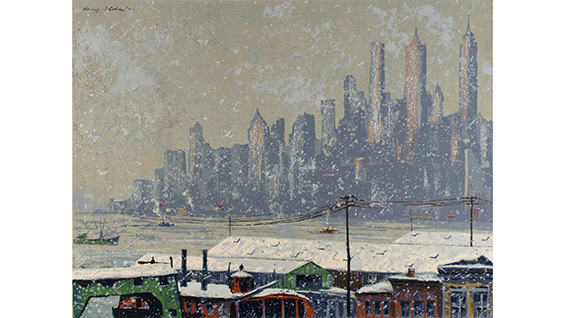 One of its major contributions will be establishing the influence of commercial color technologies in American printmaking far before the Pop Art movement. "With this project, I am following a tangent from my first book that focused on nearly 100 women artists who were members of Atelier 17, the avant-garde printmaking workshop located in New York City between 1940 and 1955. As I researched the many print exhibitions that women participated in during this period, I found there was increasing mention on the exhibition checklists of prints being 'in color' and striking emphasis on these color prints in critical reviews. I got curious and started asking questions, such as: Why this sudden interest in color prints? What was motivating artists to invent new color processes? How did American consumers view color vs. black and white prints? How were color prints displayed in the home, office, and public spaces?" 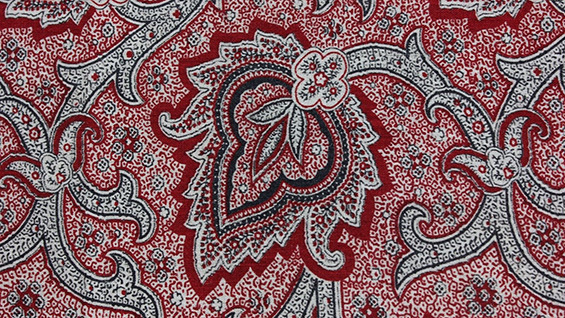 At the Max Planck Institute Lowengard will conduct research for a book on the history of "Turkey Red," a bright red color for cotton (picture a bandana), introduced to European dye houses in the 18th century. It's named for Turkey (really Asia Minor) where the color was made through a laborious process. "It is very difficult to dye cotton if you're used to working with wool. I can attest to that. I spent all summer trying to do it," Lowengard says. "The original Turkey Red process calls for sheep dung and special soaps and long resting periods between stages. I left my samples on my roof surreptitiously so they got as much sun as possible. Western manufacturers did come up with techniques to make a Turkey red and worked to improve it throughout the 18th century. Then, in 1856 William Perkin invents a commercially viable synthetic dye. A new Turkey red industry takes off from there. You see this red color everywhere in the 19th century--Garibaldi's red shirts, for example." Simultaneously, Weyl plans on spending her time for the next year, "reviewing archival papers about midcentury graphic artists who worked in color modes, galleries and other commercial outlets that sold their prints, and professional groups or collectives formed to support color printmakers." She will also read broadly in secondary literature about topics like photomechanical printing technologies, the history of color film and photography, and styles of postwar home decoration. As part of the grant she will curate a traveling exhibition of prints, sponsored by the American Federation of Arts. that will circulate in 2021/22 to three to four venues within AFA's network of member institutions. Both professors plan to return to teach at HSS in the Fall of 2019. Perhaps they will run into each other.